Haven't tried these but have had others.. I don't see what the big deal is about B&W cookies...they're just double dipped w/2 different icings, right? I grew up with these cookies in NYC. I think the legend between the cookies is when a mother came in with 2 kids at Zaro's bakery and the 1 kid want chocolate and the other one vanilla. So the baker decided to frost two sides cookies and that how it was born. Yeah, that's basically the same info in the article I linked to in the 2nd paragraph. The author of that article mentions that Half Moons are from Utica, NY but that many people still call Black and Whites "Half Moons" incorrectly. 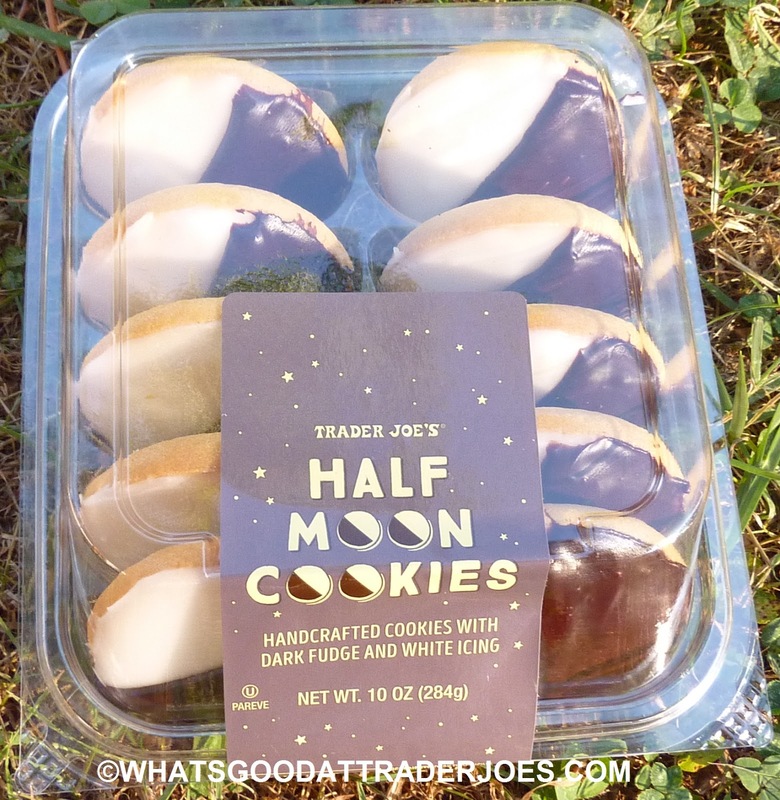 So are these more like half moons or black and whites? Half moons tend to have fudgey and buttercream like but thick frosting and moist cake base (not cookie-like). Black and whites have a harder fondant icing and a drier cake base that is more cookie-like. 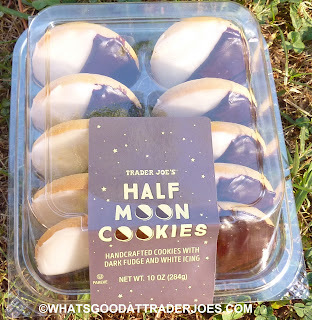 According to the article I linked to, Half Moons are made of devil's food and Black and whites are made of soft vanilla dough, so based on what I know, these are more similar to Black and whites. Also the fondant icing on these is fairly hard. http://hemstroughts.com. Is the original and still the best. The frosting is supposed to be rich and thick not waxy. 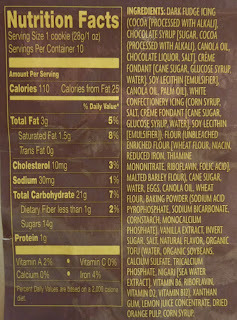 I bought these at Trader Joe's in Portland, Oregon, and the fondant icing was soft and light - not firm or "fairly hard" as referred to by others previously. It wasn't really a true fondant. My husband, daughter and I all thought they were really good, especially the cookie part is excellent, soft and fresh tasting compared to most packaged cookies. I lived in NYC for 8 years and am familiar with Black & White cookies - these are similar for obvious reasons, but quite different. Smaller, for one thing. Softer and fluffier. 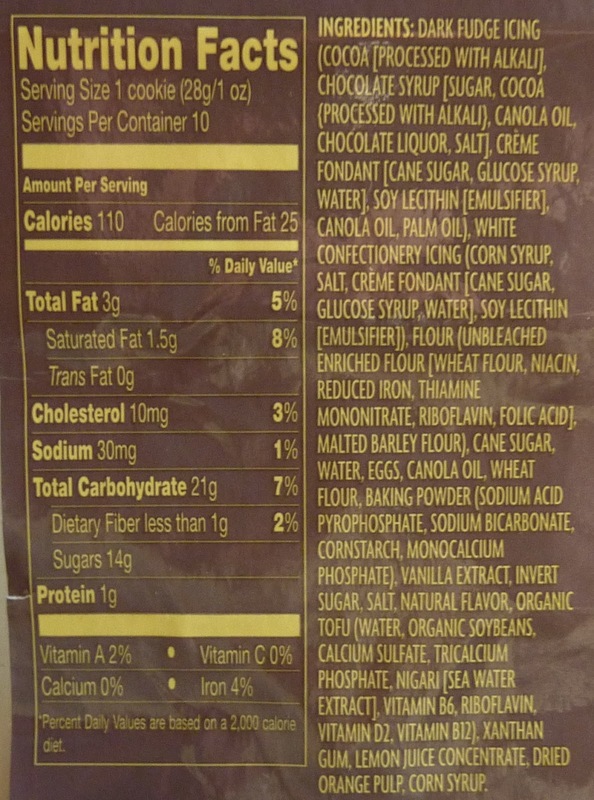 Strangely, we did not taste any lemon in the cookie part, although lemon concentrate and orange pulp listed in the ingredients. Anyway, we liked 'em!